These are: advertisements masquerading as articles; external link spamming; and adding references with the aim of promoting the author or the work being referenced. Advertisements include those that are solicitations for a business, product or service, or are public relations pieces designed to promote a company or individual. this is an open source project released under the GPL Creative Commons license. Attribution: ” You must give the original author credit". Non-Commercial: ” You may not use this work for commercial purposes"
Any active contribute to keep this Project updated is welcome. with just 15$ of electronics and your own ability bring life to your E11 blaster! What is Arduino? Arduino is an open-source electronics platform based on easy-to-use hardware and software. 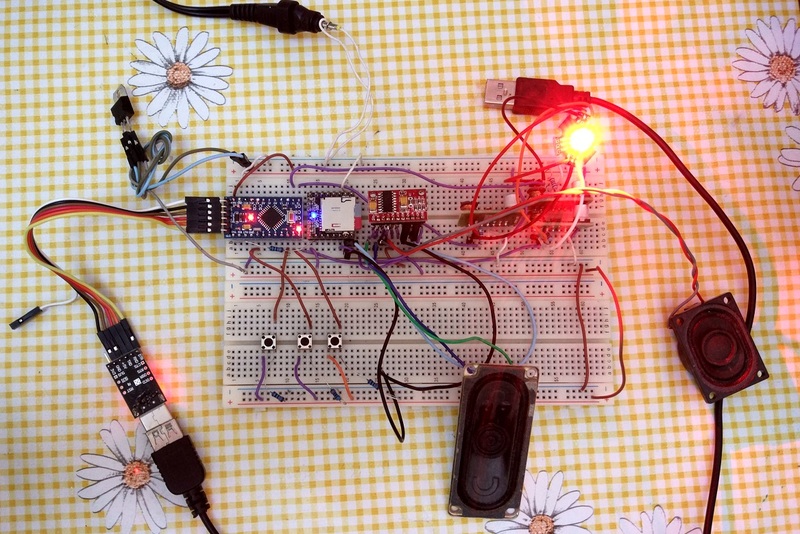 Arduino boards are able to read inputs - light on a sensor, a finger on a button, or a Twitter message - and turn it into an output - activating a motor, turning on an LED, publishing something online. 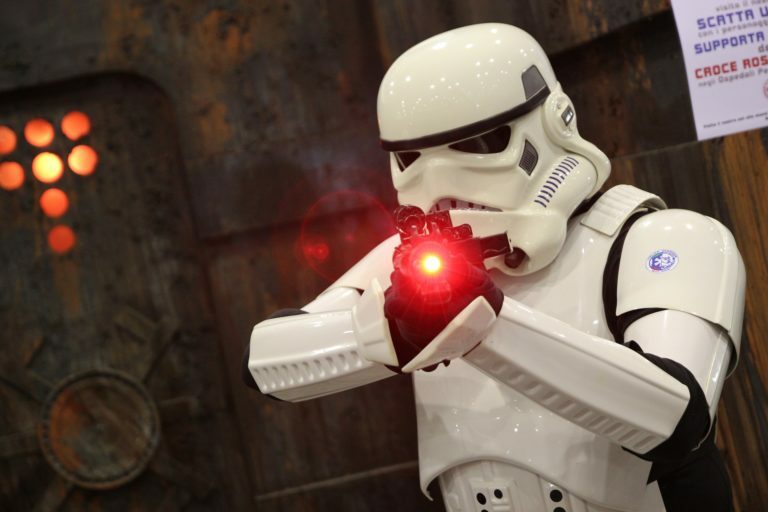 - Preset sounds from Star Wars and our Planet weapons, included (but not only): E11-fire, E11-Stun, Boba Flame, AT AT fire, Xwing fire, TIE Fighter fire, chewbacca and jawas random voices, 44 Magnum, M1 Garand..
- SD Micro card support up 32GB of sound effects and music tracks! the list doesn't include tools like solder, tin lead with paste and battery, sd card..
should be installed on the back of the pvc pipe, pay attention 328 version (that means 32kbytes of space for programming) avoid the 168 v.2.0! When you put files on the card, you should first create one "MP3" folder (@ root level) and put your MP3 files in that folder. 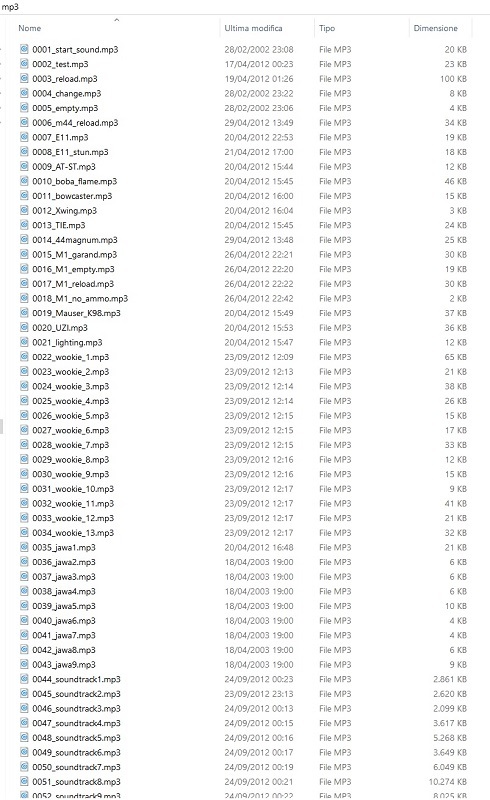 A ready to use mp3 list of sound files is available, just send me PM. It uses a micro SD card to store all MP3 files up 32GB! A library is needed in order the code works, just download it from here (click on Clone or Dowload button, then Download Zip) and unzip to your "documents\arduino\libraries" folder. 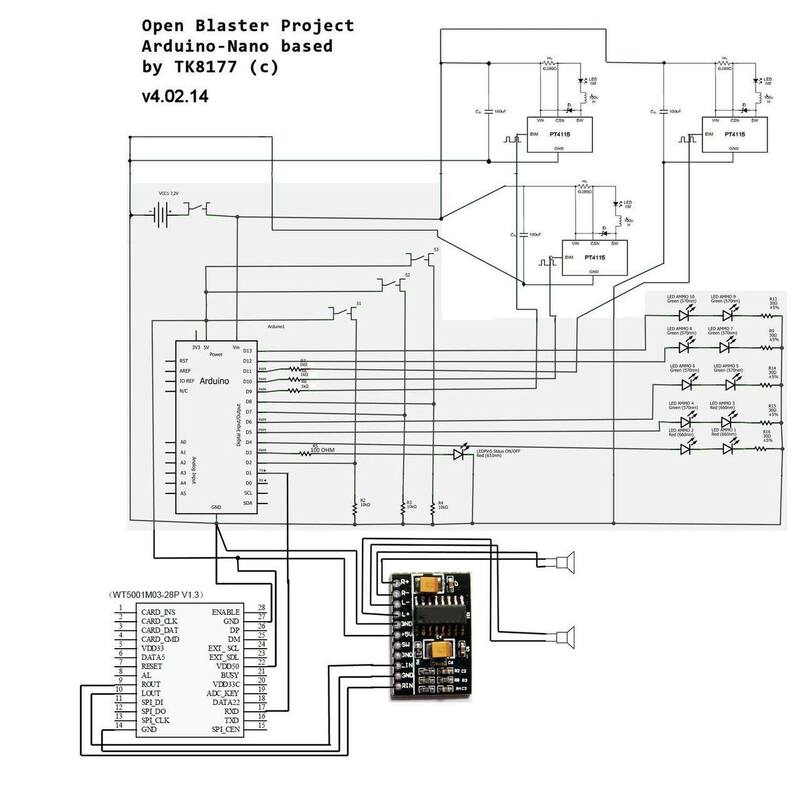 This sound board is better associated with a 5V Positive Voltage Regulator to provide power in order to reduce EMI. I used a L7805CV. 1k ohm / 10 k ohm resistor between arduino's RX, TX and DFPlayer's Tx,Rx is also needed. #1 3W+3W mini amplifier c.a. #2 speakers 3 watt or higher that fit the E11 pipe inner diameter and leave enought space to fit the cables. Speakers impendance best at 4ohm. 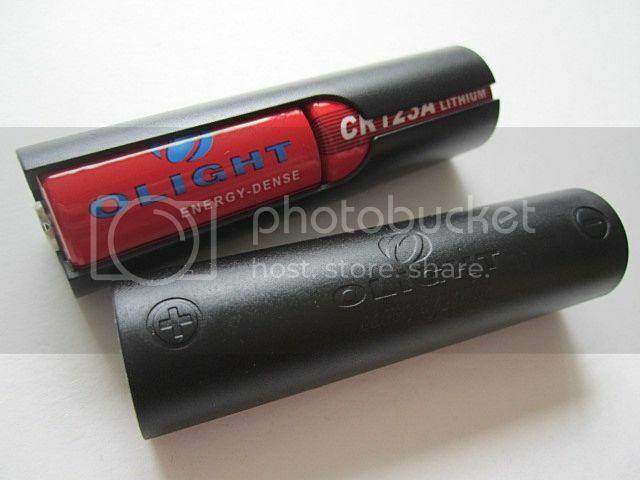 On my project i used a lithium LP-E8 Phottix battery 7,4volts 1400mAh (last c.a. 7 hours), but its dimensions (55.00 x 36.98 x 15.40 mm) needed a little modification of the receiver (5 mm larger). Anyway i strongly recommend to use a lithium battery sold as Camera original battery replacement of a well known (but not too expensive) brand (as Phottix, Weiss..). Avoid unbranded oem batteries , i read many bad stories about them (explosions..) and the amperage often is not real. Actually, the smallest 7,4 volts camera battery found is the Nikon EN-EL1(Dimension:52.00x32.20x15.70 mm), 800mAh. Same suggestion for the charger (VHBW sells very cheap charger for most any lithium camera battery). As battery holder you may use a cutted charger plate, it's a safe and cheap choice and they sell for mostly any camera battery. Because of its size, good amperage and right voltage, you may also use 2x 18650 batteries in series (7,4volts total). As showed here, best brands are Panasonicand Sanyo. If you are going to use these batteries, probably you will place the arduino in the magazine receiver, and the cells inside the rear part of the pipe. 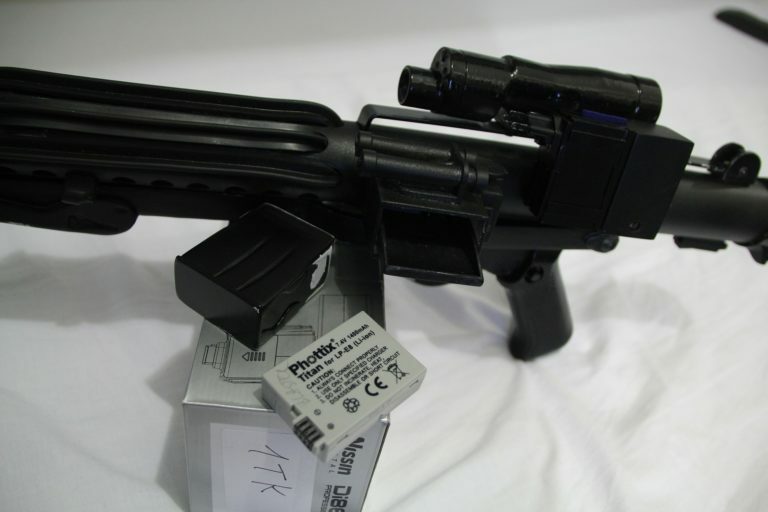 In this way modification of the magazine/receiver size is not needed. 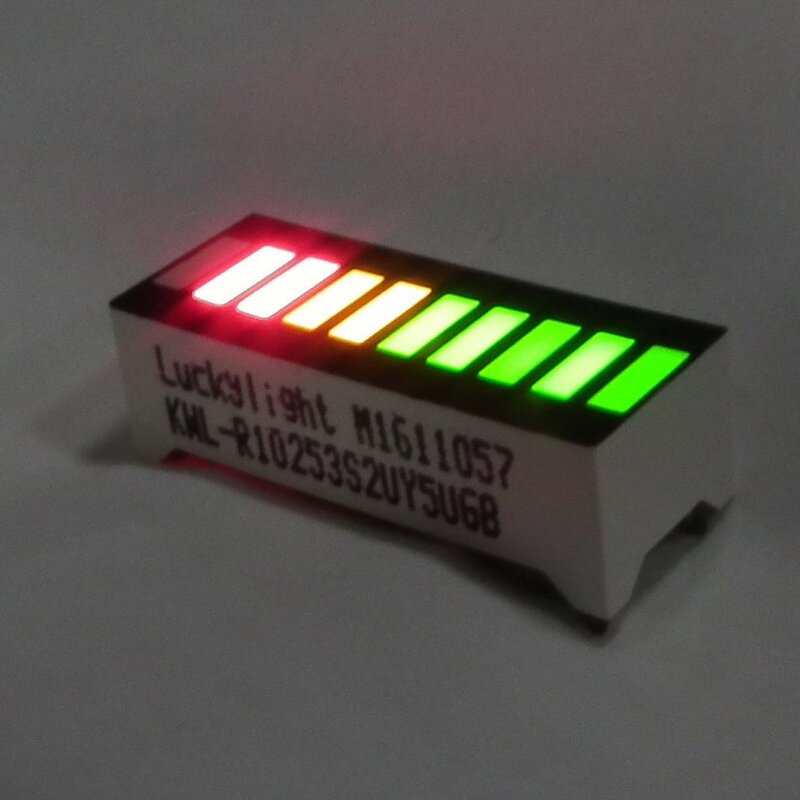 A battery like this one might be an alternative if you already own a lipo charger. you need the software from Arduino home page to edit and to upload it to the board. I wish I knew more about electronics. Where can I buy these modules, and find more info on assembling them? From description datasheet it plays mp3 files via serial RS232 mode (that means can be controlled easily trought arduino), powered by 5volts. It supports microSD cards max 2gb. NOTE: it's very important the order of the files saved in the microsd... Even if the files are named 001.mp3, 002.mp3 ecc... this sound module will read the files in the order they were added on the card, that means it will not respect the order by files name (and that means you can't call the mp3 files by name order with arduino code!). So, to avoid that, after you have finished to copy mp3 files on the sd, you need to use this software to sort the files order by name. 4) close the disk. Done! Please post a tutorial or more info on this I am very interested. Been working on a similar project with the arduino pro mini and the SOMO14d sound module. 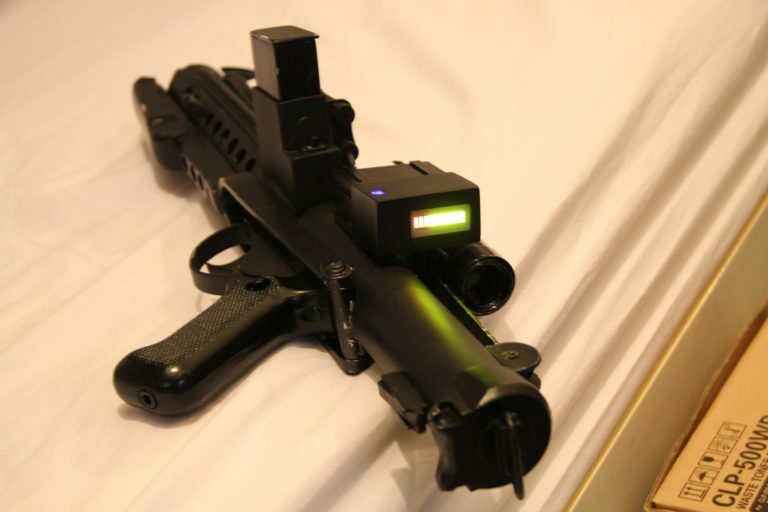 So far I have 7 leds in the barrel and 5 leds in the counter, a button on the trigger and one for reload on the side grip. Only got so far with the code then it starts to get complicated, but for now it flashes leds and plays sound. personally i am not a big fan of multiple leds in the barrel, it creates a light effect too far from the E11 firing as seen on the movie. I will limit mine to a single powerfull red led inside the nozzle. 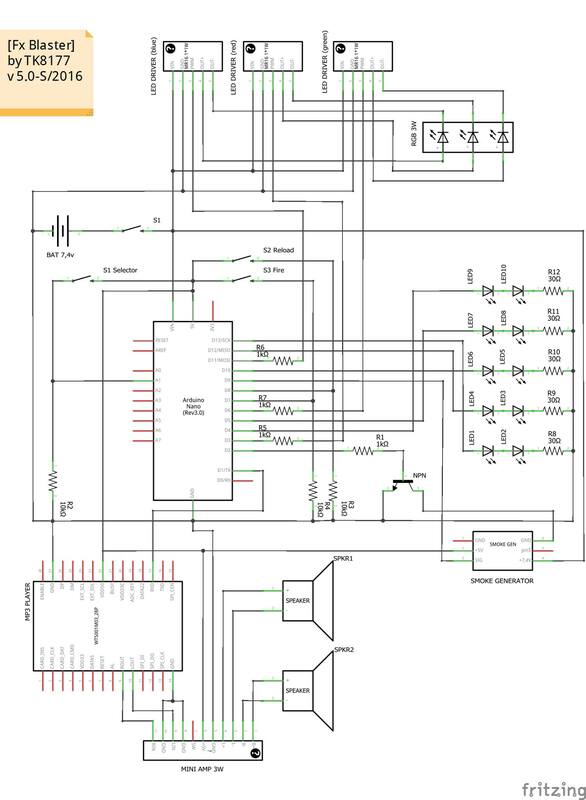 today i worked on the program that controls arduino. I changed and fixed the program from yesterday, now everything works fine. Since now i added 11 sounds to be fired included chewbacca, a Carcano, a K98 and other rifles. All the sounds are fully customizable in the SD card. I also added the "out of ammo" effect after some shots fired. So i need to install another button to test the reload ammo. That i will fix tomorrow. Since now i used 5kb of the 32kb of the controller space. How much work would it be to get a small LCD working? I may be willing to sponsor you with a the LCD if you find a small one for a resonable cost. I'm too interested in this not to consider it, especially if you can make the design and code open source. they shouldnt' be expensive but actually i don't know where to install on the E11 since the hengster box will be occupied by the mp3 board and some leds... 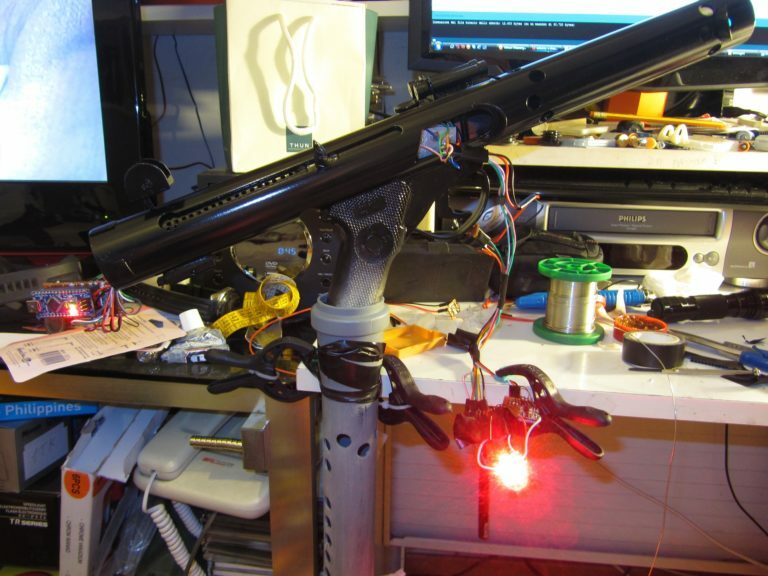 I must see if there is enought space (and pin availables on the arduino board) at the end of the project fot a small screen to check ammo status and the number of the weapon selected.That would be useful. 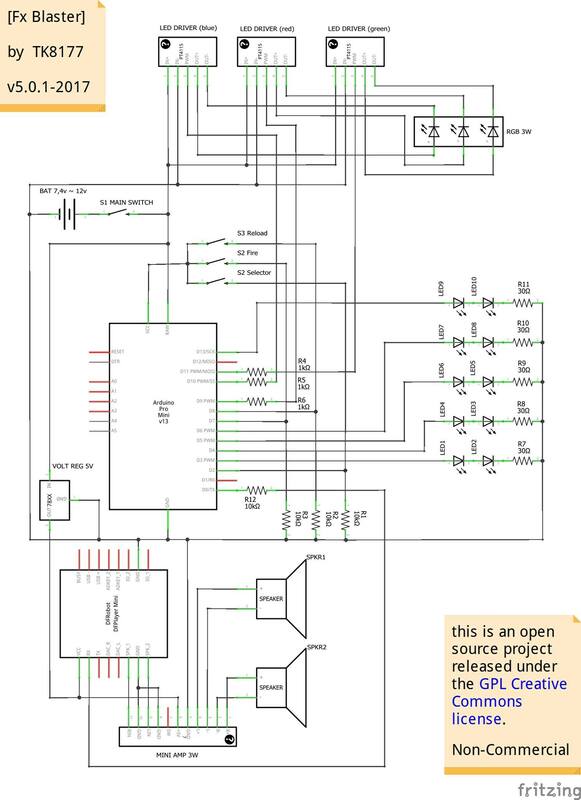 I will release the code and the circuit at the end so it can be improved and customized by everyone (the code of arduino is the same of C programming); maybe i will start a specific website for this project. There's always github and sourceforge for the code repository. ever seen the hall effect sensors used in ERV's build? I don't have a clue what you guys are talking about, but I think the result will be awesome! That's a cool concept! Thanks for the expaination! There are many kinds of open sorce licenses, some are more restricting, some are less. But the principle of sharing the code so others can benefit from it is the common trait. I love open source. This is one of the cooler things I have seen on the forums. I can't wait for your tutorial. i am thinking to call this project "WIP BLASTER" because it's going to be a constant working in progress project since the code can be modded by everyone. i updated the previous page with the components list after finding more information.